I haven't painted many Frostgrave figures lately. Partly this is the result of my continued battles with my eyesight, partly a lack of time, and partly a bit of lingering frustration. The truth is, the last time I painted up some Frostgrave figures, I wasn't happy with the results. After awhile, I realized it all came down to basing. When I first wrote the game, I worried about the setting. I thought it was pretty cool, but I also knew that a lot of miniature gamers hate putting snow on their figure bases. Actually, I also hated putting snow on figure bases. It's not that it doesn't look good, but that it is limiting. The figures just won't look right on a lot of table tops. You'll never want to use them if you are fighting in the desert or the jungle. I needn't have worried. Wargamers are practical folk. People that wanted to put snow on their bases did. Others just ignored that part of the setting, and did whatever they wanted on their bases. However, when I came to paint my first Frostgrave figures, I thought I had to be 'true' to the setting, otherwise I'd feel hypocritical. The first figures I painted had full snow bases. This looked terrible, like figures standing on a pile of cotton. Next I tried to do flagstone bases similar to the bases painted by Kev Dallimore on the figures in the book. Of course, my skill with a paint brush doesn't come close to Mr. Dallimore, and again it looked pretty terrible. So, this time, I decided I would use my regular basing technique, a mixture of fine gravel, flocking and static grass, and then just add a little touch of snow here and there. I am much, much happier with the results. Okay, my Frostgrave has a bit more grass than I imagined, but so be it. Also, I now feel that these figures could also be used outside of Frostgrave, at least in a few colder locations. For anyone else who is suffering from 'base indecision' when it comes to Frostgrave, you have my blessing to use whatever basing technique, and look, you want. So here are the first two figures to feature my new basing, a death cultist and a zombie. The death cultist actually features an arm (the one with the hammer) from the barbarian box. I really like this figure. He came out looking rather heroic. Even evil has its heroes, I suppose. The zombie I'm not as keen on. I feel like I lost control of painting him at some point. Still, he's a zombie, so I won't worry about it too much! The tales of the Endless Isles are filled with piracy, war, horror and heroism. Containing the swashbuckling adventures of Stevan the Targeteer, the wanderings of the grim gunfighter, Bowis de Lleiva, and the darkly humorous accounts of the mysterious gravedigger, Nick Bury, Victory's Knife collects the folklore of a lost world. And with those words, I am launching my first, self-published ebook! 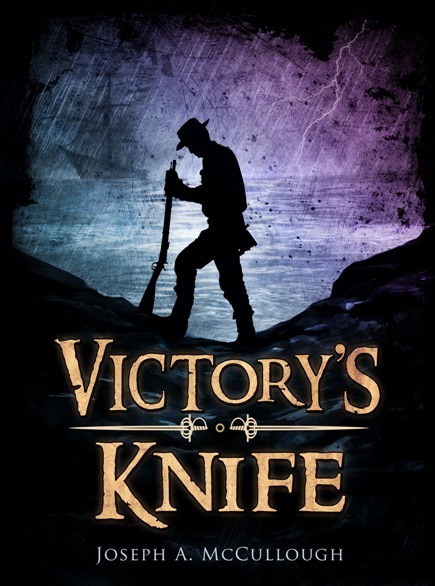 Victory's Knife will be appearing on Amazon, Itunes, and all of the regular ebook places over the next week, selling for $5. However, I wanted to give my loyal blog readers a chance to get the book first and to get a little discount. So, if you are interested in getting a copy, just send $4.00 to paypal: joe5mc2@yahoo.com and specify if you want the PDF, ePUB, or Kindlie (mobi) file. I will then email the file to you. I am doing all of this manually, so there will be a delay between when you order and when I get a chance to send you the book, but hopefully it shouldn't be long. Victory's Knife contains 17 short stories, most of which first saw publication in various magazines and 'zines over the years, although a couple appear here for the first time. In fact, you can read the shortest piece in the book on my blog here. I would also like to take a moment to thank my friend, Steven Meyer-Rassow who designed the cover. He took my vague explanation of what I wanted and made it beautiful! I will, of course, be talking more about the book over the coming days, but for anyone who wants to get it now, and save a buck, here's the chance. Feel free to comment and let me know what you think! 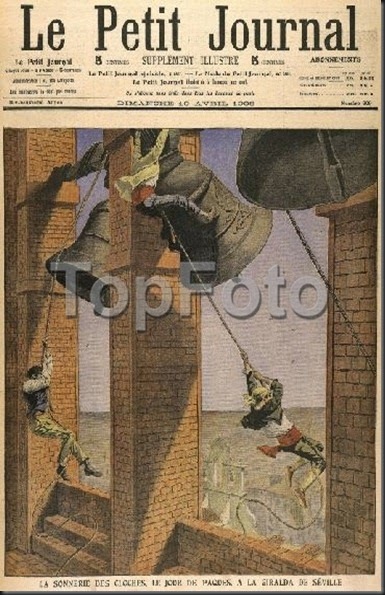 In parts of Spain and France, people used to leap out of cathedral bell towers with the bell cords tied around their wrists and trust to the momentum of the ringing bells to pull them back in. How's that for an attention-grabbing first line? 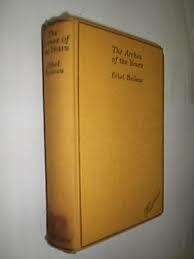 I recently finished reading The Arches of the Years by Halliday Sutherland. Back in the early 1930's the book was a best-seller in Britain; now it is almost completely forgotten. Essentially it is the autobiography of the first half of Sutherland's life, and although he isn't particularly famous, he did lead an interesting and adventurous life. He grew up in the Highlands amidst a culture that freely mixed superstition with Calvinism. He went to medical school at a time when he had to capture stray cats to practice anatomy. He voyaged with a whaling ship, first practised medicine in Spain where he 'attempted' bull-fighting, he dabbled in the stock market, served on an armed merchantman in World War I, and then returned to Britain to run a mental hospital. The book is written in a refreshingly honest and open style, and it is loaded with interesting details (Who knew that whale bones were used to make fake feathers as far back as the fourteenth century? You didn't think those were actual feathers on knight's helmets did you?). One note, particularly, caught my eye. While travelling in Spain, Halliday went to Seville, where he witnessed a group of bell ringers leaping out of the top of the cathedral bell tower and swinging around on the bell ropes. This bell tower was nearly 300 feet above the ground! I must admit, I'd never heard of anything like this, and it seemed to stretch credibility a bit. I did a quick internet search, but couldn't find anything on it. Still curious, I dropped an email to an acquaintance of mine who happens to live in Seville, the talented artist who goes by the name aRu-Mor. 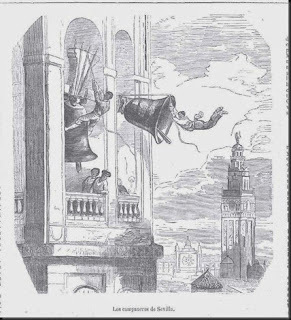 She explained that she wasn't native to Seville and was unaware of the tradition, but that she had heard of a group of acrobatic bell-rings in a nearby city. She did a bit of asking around and discovered a couple of amazing things. The first is the video below. Okay, they don't actually leap out of the tower, but they do leap up onto the bell and lean out of the tower! (Skip to about 4:50 to see the move). Pretty amazing, but not quite proof. However, Ru-Mor also pointed me to this Spanish blog which looks into the question. It includes these rather amazing little pieces of art that come from near the beginning of the twentieth century. Just a quick note to say that near the end of March, I will be heading for Chicago for Adepticon. Not only is Adepticon one of most enjoyable miniature shows I have ever attended, but this year, I will be helping to host a special Frostgrave Campaign Day. I'm especially excited because Ash Barker, of Guerrilla Minaiture Games, is going to be running the event. I have written three special scenarios for the campaign day, and everyone who participates in the campaign will be given a special 'Event Scenario Pack' containing these exclusive scenarios. There are still some places left in the event, but they will almost certainly fill up, so register now if you want to be sure to take part. Just click on this link, and type in Frostgrave to find the event. So, if you are headed to Adepticon, and you really should if you can, please come by and say 'hi'. I will either be hanging out at the Osprey Games stand or at one of the several Frostgrave events that are running over the weekend. The problem with being a Renaissance Troll is that I am very easily distracted. A few months ago, while I was really supposed to be working on something else, I instead designed a quick-play, solo, dice-based, board game which I called 'Barbarian Hack'. The premise is the player is a barbarian who has a few turns to kill off all the monsters and rescue the prisoner. A game takes about 2 to 3 minutes to play. I liked it, but it was such a small affair in terms of scope and rules I wasn't sure what to do with it. 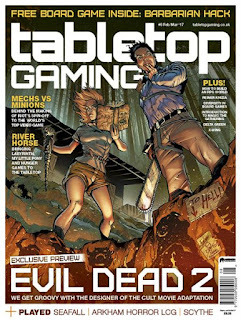 However, I spoke to the new editor over at Tabletop Gaming Magazine, and he was keen to have a look. Well, some months later, and I am a published board game designer! 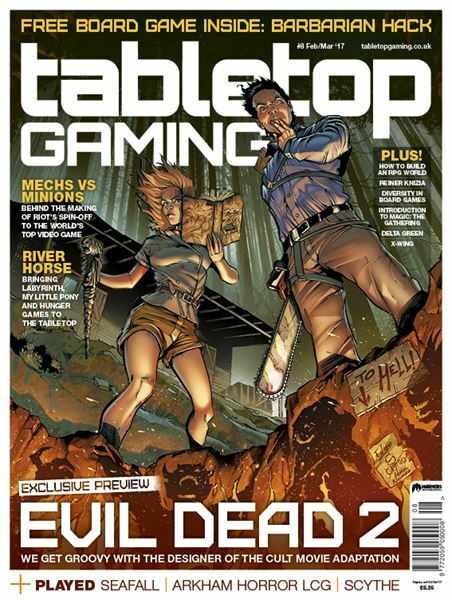 So if you fancy giving Barbarian Hack a try, pick up an copy of Tabletop Gaming Magazine Issue 8, grab a couple of six-sided dice and some coins or figures, and you are ready to go! 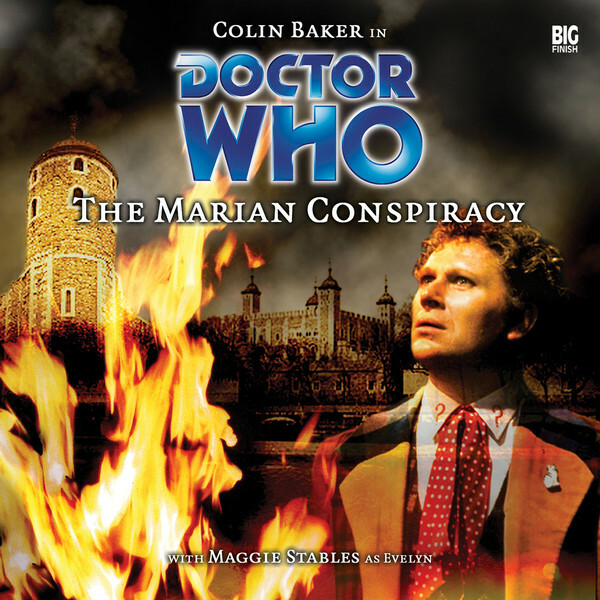 The Marian Conspiracy is a beautiful example of the 'heart' that has kept Doctor Who relevant and popular for over fifty years. Despite being the sixth instalment in Big Finish Productions Doctor Who Audio series, and the second to feature Colin Baker's Sixth Doctor, it is really a new beginning. For one thing, it goes back to the series' roots with a solid, historical adventure, designed to both entertain and educate. For another, it introduces a brand-new companion, the history professor, Dr. Evelyn Smythe (played by Maggie Stables), who will go on to be one of the best companions in the histor of the series. One of the mistakes of Colin Baker's short television run was the companions he was paired with, both of which tended to accentuate his worst traits. Dr. Evelyn Smythe, an older, more experienced, and wiser companion than almost any seen in the series before helps bring the Sixth Doctor down to a more human level. And that is the real key here. With this story, there is significant shift in how Colin Baker plays his Doctor. Yes, he's often still arrogant, bombastic, and egotistical, but these come only as little flashes now and then. Instead, it feels as though he has 'grown up'. He's a little wearier, a lot more introspective, but most of all, he has a lot more heart. So, if you've ever thought diving in to the Doctor Who Audio Adventure Range, this is a good place to start. Also, it is such an old one now that you can download it from Big Finish for a mere £2.99. It's good value entertainment. As another reviewer said, 'Practically faultless, the one reason this isn't getting full marks is that Evelyn's adventures get even better later'.